the love of Photography, education & Adventure! Welcome to Kauai Adventure Photography Workshops! We offer unforgettable photography education adventures for anyone looking to take their photography to the next level. Our instructors provide experienced, insider knowledge about the island and professional hands-on photography lessons relating to the technical and conceptual aspects of on-location photography. We like to keep it fresh and no two workshops are ever exactly the same. We are not like a photo tour. We will not rush you around from place to place. This is immersive education for all adventure seekers with a passion for photography and travel. Delve deeper into the spirit of beautiful Hawaii and come away with a meaningful story through your images. The incredible island of Kauai offers some the most majestic terrain and atmospheric lighting conditions for studying and capturing stunning images. From waterfalls to waves, deep canyons and soaring cliffs, to dense jungles and rolling plains, Kauai has an endless abundance of amazing photographic experiences. So register today, grab your camera, pack your bags, and prepare yourself for the adventure of a lifetime! ^ Mallory Roe taking her photography to the edge on Kauai. ^ Patrick Kelley working on location in beautiful Kauai. 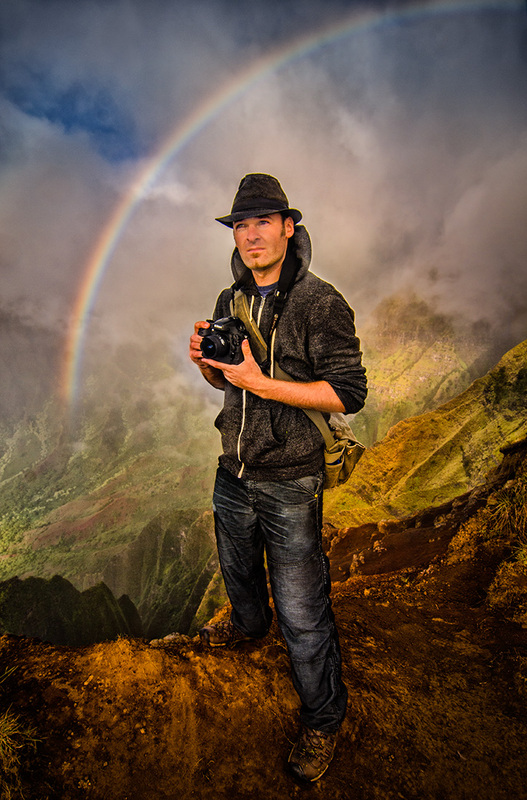 Patrick is a world traveler, award winning photographer and a naturalist at heart. He studied fine art photography at the Minneapolis College of Art and Design and received a Bachelor of Fine Arts degree in 2006. An avid diver, camper, climber, hiker and biker, his interests have led him on adventures around the world over the last decade. He is represented by the National Geographic International Image Collection and does assignment work both at home and overseas for commissioned and independent photography projects.